ADM celebrates her porcelain jubilee! 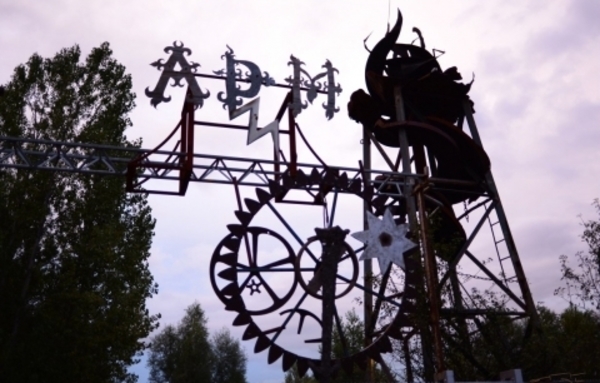 The squatted cultural freespace ADM exists 20 years in October. And that will be celebrated at the 12th, 13th and 14th of October 2017. Three days full of spectacle you do not want to miss. 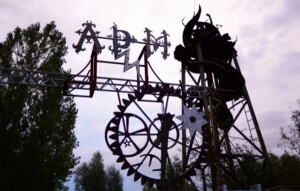 Artists, performers and visitors from all over the world will come to ADM this weekend to celebrate that there is still a place where unnecessary regulations do not exist, the hands of the clock are not breathing in your neck and where non-conformers walk freely. BREAKING: We won the appeal court case about penalties we’re supposedly had to pay to the Chidda’s (The heirs of Bertus Lüske), for not giving them access to our terrain. Send your opinion to the municipality about the ADM and the threat of eviction ! The deadline is on tomorrow 02.08.2017 @ 16:30 ! Last week we received a letter of the municipality of Amsterdam in which they summoned us to ‘stop making infringements against the zoning plan’.Like living in an industrial area. If we do not comply with this request before August 5, the municipality ‘will end the violations by means of administrative enforcement’. We protest against this decision and we submit a well-founded view. They are obliged to reply it .We ask all of you to do the same. Hit the link below, explain in some sentences why the ADM is important to you and than just hit send ! Act NOW / SHARE this message !!! Verdicts in 2 most important court cases postponed till July 4th 2017. The verdict in the ‘short’ court case is now due to be given on July 4th. 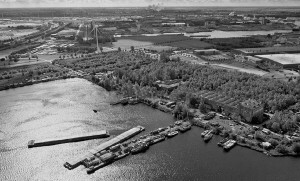 On the edge of an expanding industrial area in Amsterdam called Westpoort, a special development took place. A group of people created a forest. The forest functions as a natural filter for emissions from local industries. It filters particulate matter, which are small particles of toxic debris and dust from the coal, concrete and petroleum industries located in the nearby area. On the ADM terrain the trees and plants continually capture these small particles and hold on to them with their leaves and branches until they are washed away naturally by the rain. This is a pollution barrier at work. The ADM trees also work as a sound barrier to the activity in the industrial freight and coal terminals located in the area. The trees also capture and store CO2 gas. This sound barrier, natural air filter and CO2 storage works every day. Chidda admits, Koole Maritime is not intending building a shipyard. 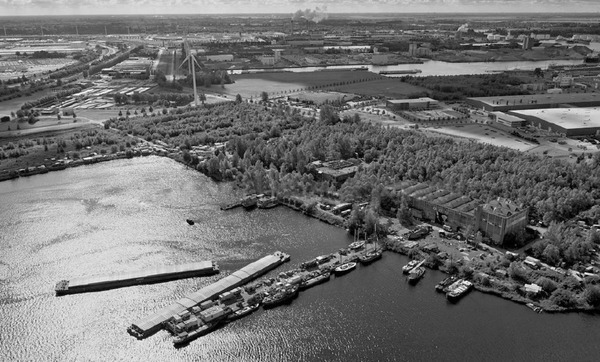 The ADM terrain in the port of Amsterdam has been disused since 1977. From that time, the land was ‘owned’ by various speculators, who however still had to deal with a limitation that the municipality had included in the Act of Ownership, when they gifted the then ADM shipyard in 1970; “the terrain is destined for a company, which aims to build and repair ships.” The Supreme Court ruled earlier that this destination restriction (the ‘perpetual clause’) is still in place. 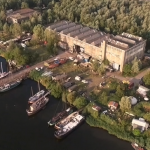 The current ‘owner’, Chidda Vastgoed BV, argued for some time that they had found a company that would indeed plan to launch a genuine shipyard on the terrain. In the appeal court-case of the ‘Bodemprocedure’ (=> in-depth court case), which took place Tuesday (March 28th. 2017), Chidda was forced to admit that it is not about a shipyard, but “a displacement of the current activities.” The company in question, Koole Maritime BV, is known for, among others, asbestos removal, waste treatment and excavation works. 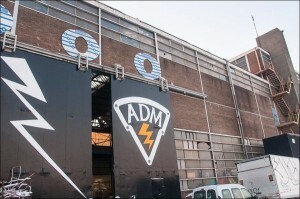 On October 6, 7 & 8 there is a unique chance to take a look inside the ADM. This squatted community celebrates it’s 19th. birthday with a multi-disciplinary-all-flavoured program, which includes dancing, safari & porcelain, circus & puppets and much, much more. In a city where thinking within existing frameworks, economic interests and clean sidewalks dominate the public domain, the ADM is an alternative community based on solidarity, self-organization, respect, improvisation & innovation. A place were Anti-conformists walk freely and Dreams still fly around and lay eggs. 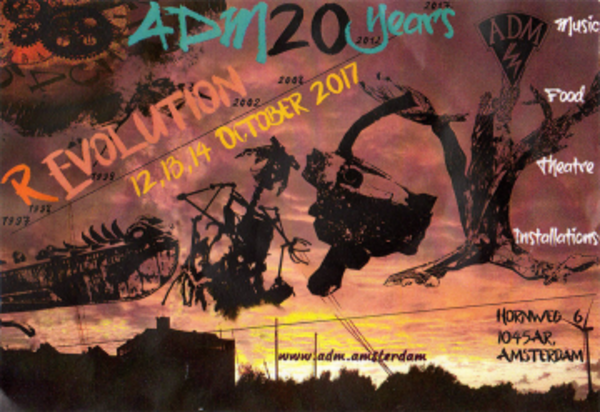 The ADM is currently under severe legal pressure, but still we present a huge program of international acts. Last Thursday (January 28, 2016) Chidda C. S. again presented proof that was tampered with. Already before, crucial pages from an ecological report were made unreadable in an appeal against the municipally (10 dec 2015) and they withheld this important information in relation to the ecological value of the ADM from the environment department, who had to assess the permit for the felling of the trees and had specifically requested more information. Then Chidda hired another ecological bureau who were instructed to make a new report (19 jan) that suggests to make a summary of the previous report, but leaves out all the relevant conclusions and recommendations and presents completely other conclusions. Last summer the judge concluded that the plans presented by Chidda c.s. [=> Lüske’ heirs] for the ADM-terrain are insufficiently specific (verdict July 13th 2015). The municipally concluded the same on September 15th and again on December 10th 2015.